Since the Bunny Cupcakes I made last week were so cute and easy to put together… I started thinking of other shapes to make cupcakes into. 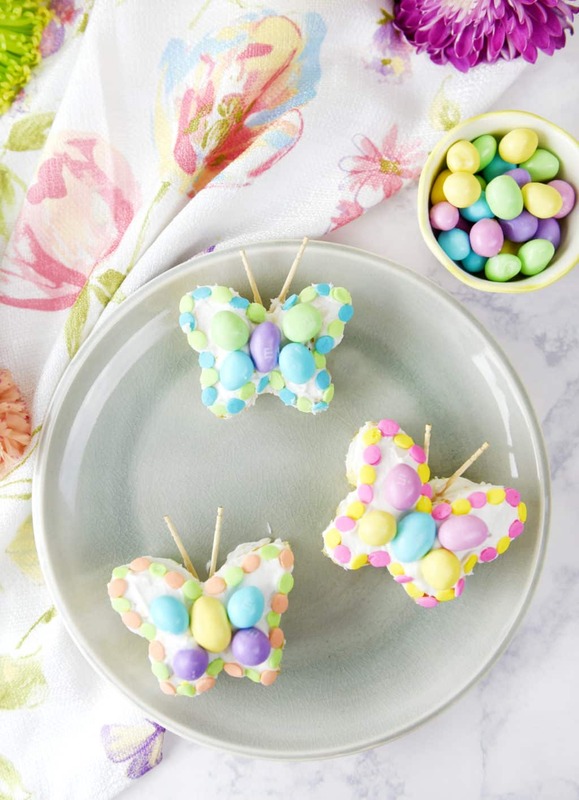 These Butterfly Cupcakes seemed like the perfect treat to welcome spring! 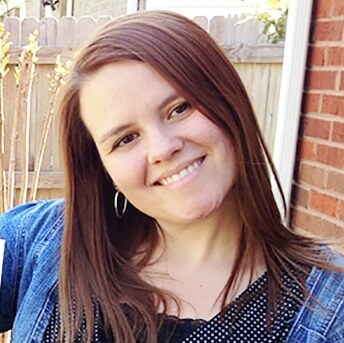 This post has affiliate links to help support this site. 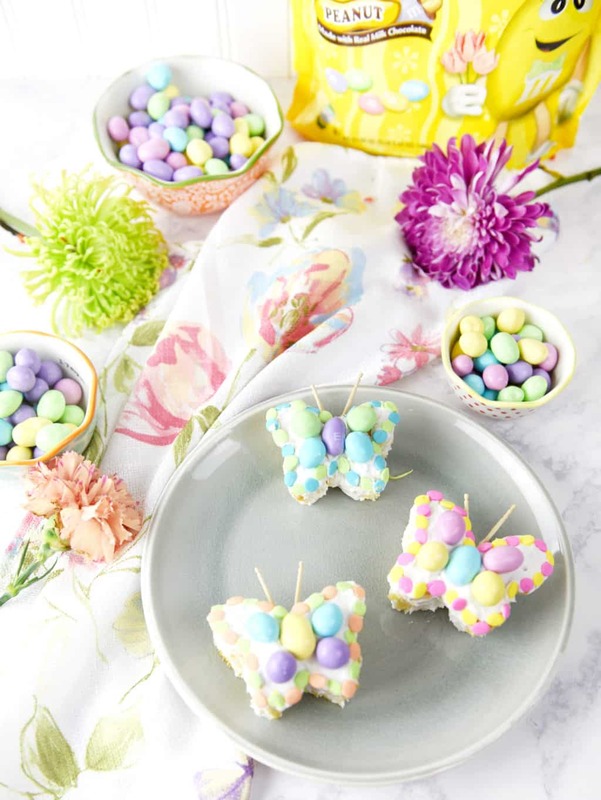 These Butterfly Cupcakes are so cute and they would be a beautiful display for Easter, a birthday or any springtime event. Just cut a cupcake in half and turn them around and place together with a little icing. Cut out a little triangle out of the sides with a knife. Ice the rest and decorate as you want. I used peanut M&M’s and (of course) Easter Egg Sprinkles! 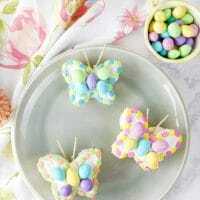 My girls were LOVING these Butterfly Cupcakes! They thought they were so pretty. They are so easy to make that all the kids can get in on the fun. I used toothpicks for the antennae but if you are making these with little kids you may want to use something else like licorice strings. 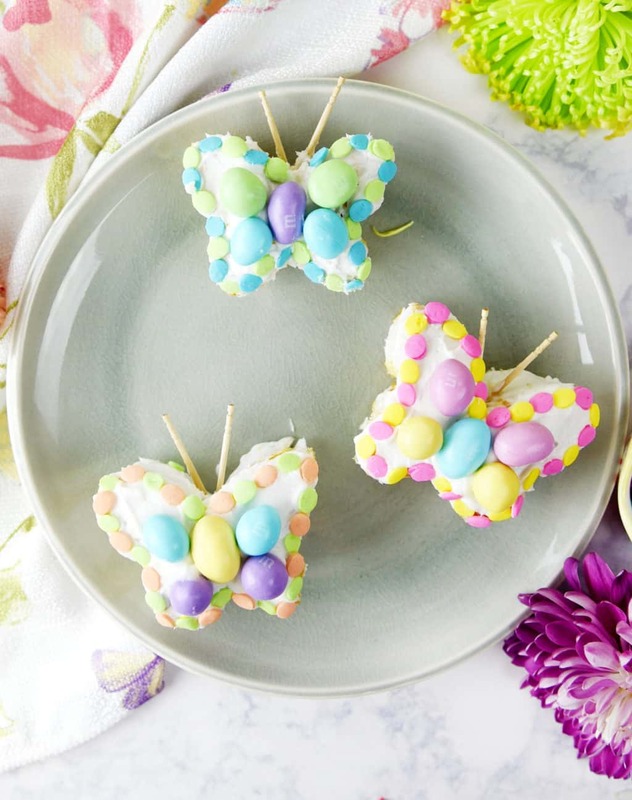 Here’s a video tutorial showing just how easy it is to make these fun and adorable butterfly cupcakes! Prepare the cupcakes according to your box mix. Let them cool completely before icing. Beat together on high the can of icing, crisco or butter, vanilla and confectioners sugar. Cut each cupcake in half and turn the round edges facing each other. Attach them together with the icing then use the icing to cover them. Use the M&M's, sprinkles and any other toppings to decorate. I also used toothpicks to make the antennas. So much fun and a beautiful way to welcome spring!